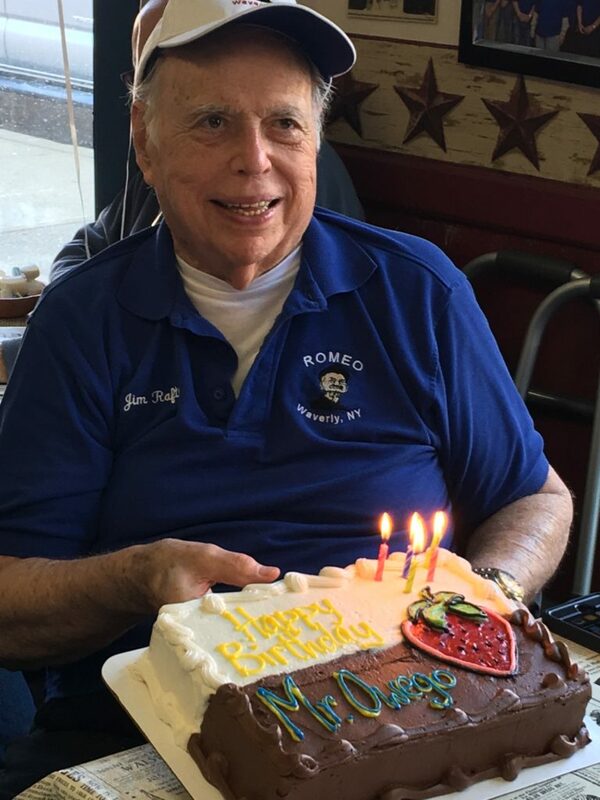 For most, celebrating a birthday is an annual occasion that some try to avoid, but at the Romeo table at Becky’s Diner in Waverly, N.Y., a birthday is something that is not to be missed! The Romeos, or Retired Old Men Eating Out, promise to never let a birthday go unnoticed, especially among their members. 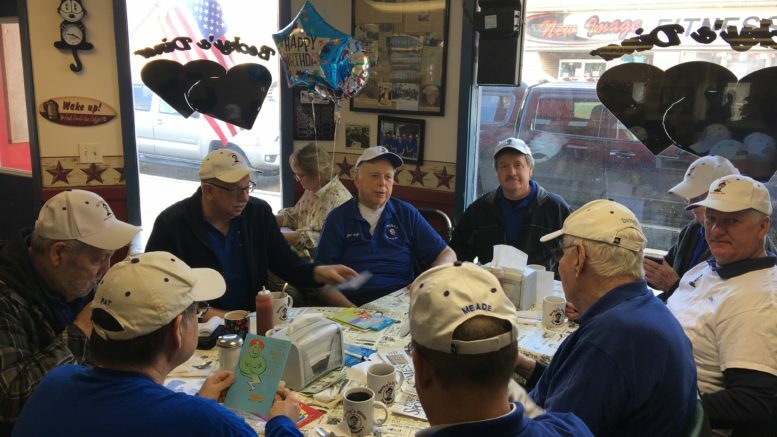 On Tuesday, this elite group of men, that gather each week at the diner, celebrated a birthday of one of Owego’s own – Jim Raftis, Sr. 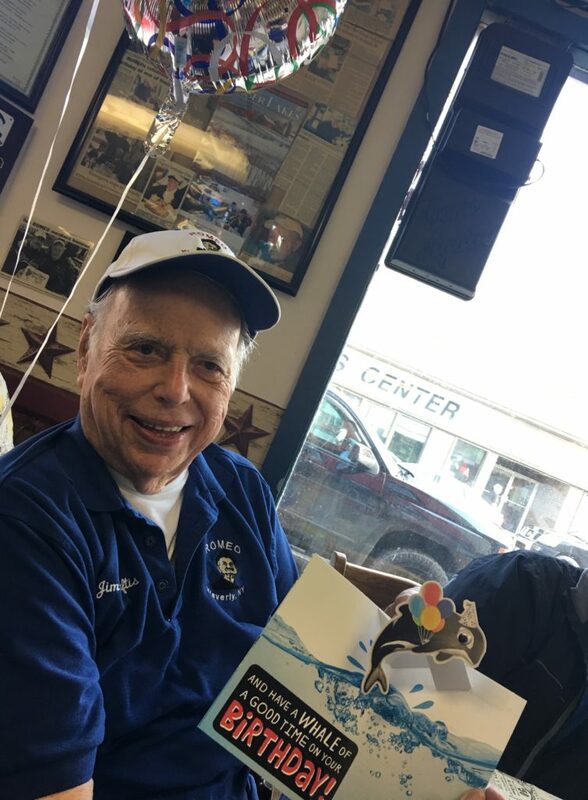 Turning 87, the dozen or so that gathered around the Romeo table during the early morning hour on Tuesday made sure to take note that Raftis is now the second oldest “living” Romeo; Jack Millage is the oldest. As the group passed around the birthday cards, laughter could be heard throughout the diner. “All will be forgiven,” was written on a card for Raftis. “Take a deep breathe, you’re gonna need it to blow out all of those candles,” read another. But with 14 members in this exclusive group, a birthday of one of its members is a grand occasion. And the next birthday coming up, they noted, will combine three celebrations into one. The net result will be a lot of unique birthday cards for Waverly’s Mayor, Pat Ayres; Romeo member Jim Smith; and Romeo member and retired State Trooper, Frank Rooney. But on Tuesday, the focus was on Jim Raftis Sr. as his birthday was celebrated, and a cake, bearing the words “Mr. Owego,” capped things off! Raftis, who is recovering from hip replacement surgery, earned the recognition of “Mr. Owego” as he has organized and volunteered his time for veteran organizations, Owego Little League, and many others for literally decades. 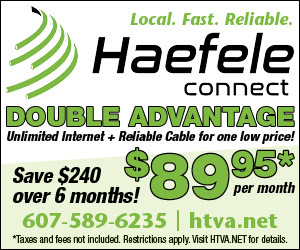 When local residents hear his name, they know who he is! Raftis was born at Tioga Hospital in Waverly, which is the same location where Elderwood sits today. His recovery and physical therapy was provided at that same location. “I was recycled at Elderwood,” Raftis quipped of his surgery. Some fast facts about the group were learned on Tuesday, one being the addition of their newest member, Mead Murtland, a Valley resident that serves several organizations. It was also learned that member Bob Hagg drove the furthest for the gathering, traveling from Columbia Crossroads in Pennsylvania. Waverly’s Mayor, Pat Ayres, who was in attendance on Tuesday, talked of an upcoming meeting on Wednesday, where they would draw up a comprehensive plan. On a more somber note, the Romeos also reflected on Romeo members that have passed since the beginning of the year – one being Doc Dimon, who passed in February, and the other being John Beam, who passed last week; both were charter members. 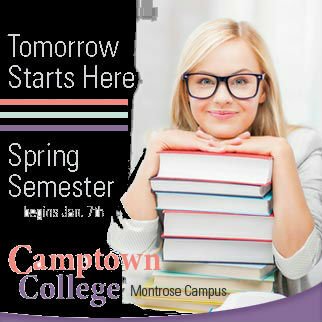 As for information on joining the Romeos, don’t bother; Raftis will confirm that becoming a member is no easy task. Be the first to comment on "‘Mr. Owego’ celebrated at Romeo table"